Gorgeous Tracey...love those gold heart sequins! So beautiful and sounds like the perfect day! Love this gold and black together and your shaker shape and ingredients are such a fun element! You rocked this inspiration photo! Love love love love this!! LOVING the heart sequins!!!!! Great card, Tracey! Kudos to Emily for suggesting a shaker. love how you created it with the gold hearts. Oh WOW! I love this, Tracey! I just got these heart dies yesterday. Sounds like you had a great day! Cool card! Very striking with the black, white and gold and I love the shaker. WOW this is gorgeous.. love the heart shaker and the added diamond.. PERFECT..
Great card! I love this idea of creating a shaker card with the die. Gorgeous. I love that you made it a shaker. Wow! What a fab heart shaker card! Pretty gem and love the sentiment, too! Great take on the sketch...love it! Shiiiiiny! Love the sparkly goodness of your shaker! Super cute. That's gotta be the coolest shaker! I love the black and gold! So glad you had great girlfriend time! Oh my!!! I am in LOVE with this Tracey!! I love bling and those gold hearts inside your heart are perfect!!! Kudos to Emily for her shaker idea, and your execution is just beautiful, Tracey! I love the color combo and those gorgeous tiny gold hearts are just perfect! Love how you placed the diamond, too! Sounds like a fun day of crafting!! 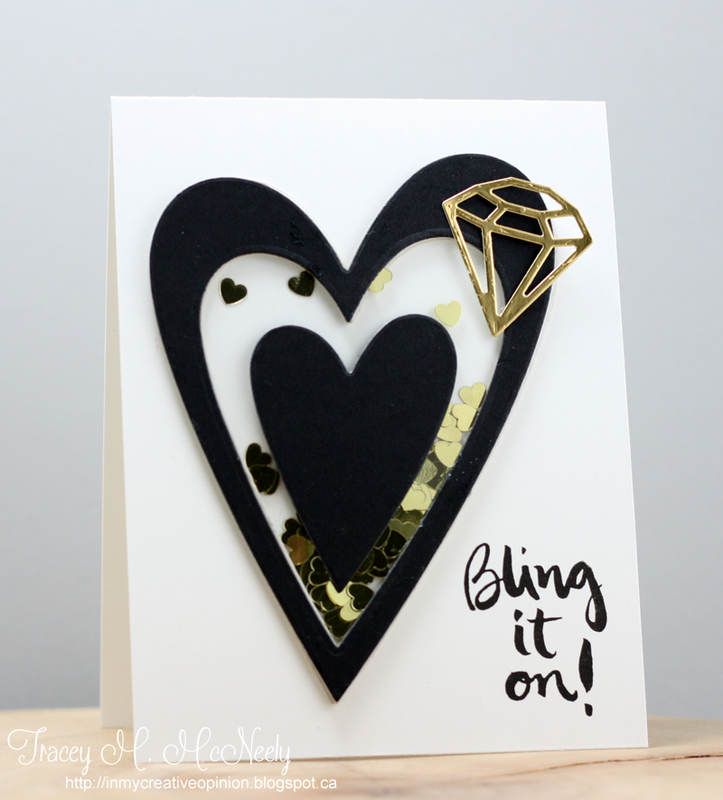 PRETTY card Tracey, love the bling! Such a pretty card, and the shaker is a brilliant idea. Love that big diamond--need one that size for my ring finger. And, your crafty day sounds just wonderful. Gorgeous....just so gorgeous! 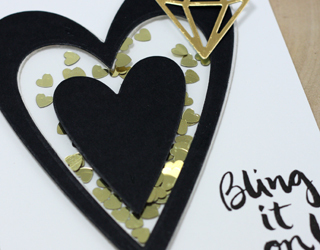 Love all that bling on your amazing card. 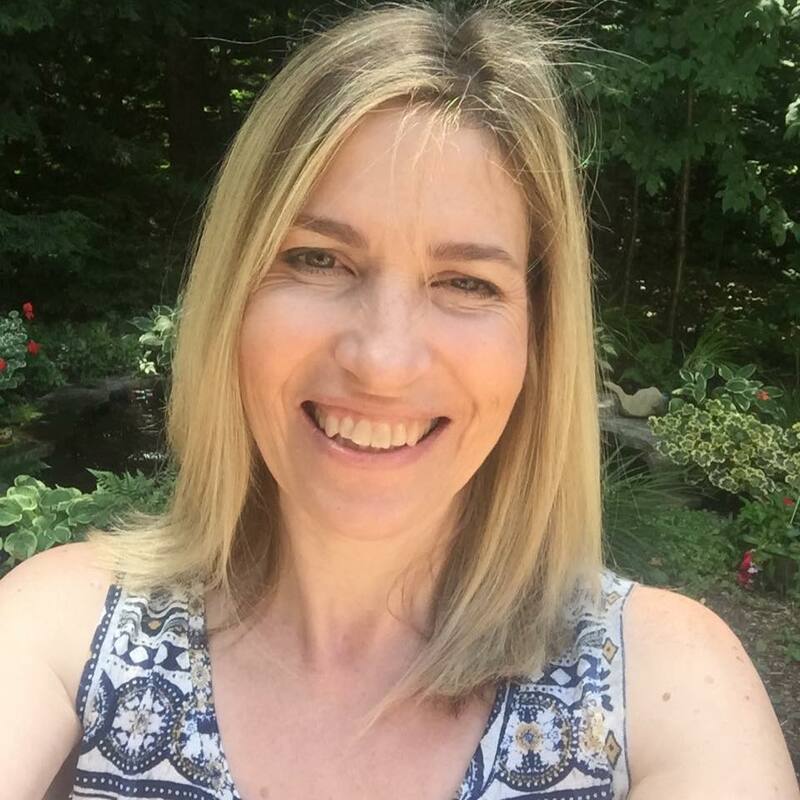 What a perfect take on the inspiration photo, Tracey! 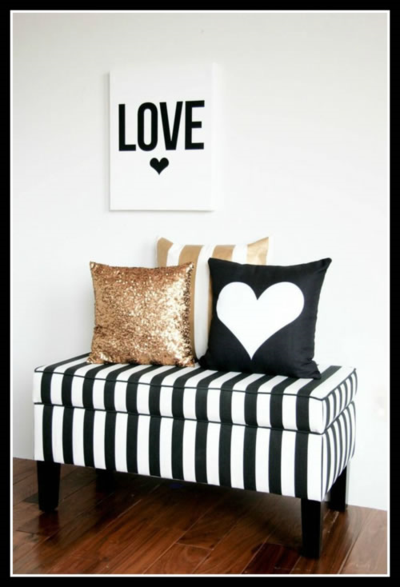 Love that you turned your heart into a shaker window, and the black and gold is divine! Love the way you interpreted the photo, Tracey. Doing a shaker really upped the WOW factor.